The Epicureans were materialists in the modern, scientific sense. They accepted the physics of Democritus that the universe was composed entirely of empty space filled with atoms of differing shapes and weights that moved in non-linear paths (swerving) smashing together and latching into greater structures, composing the universe. The universe is infinite in space, time, and the number of atoms (mass) but finite in regards to the number of unique types of atoms (diversity). They believed in thermodynamic entropy (it’s easier to destroy arrangements of atoms than for the arrangements to be made, thus the universe is ageing towards a state of complete disorganization), and the conservation of energy (atoms, literally “uncuttables” could not be destroyed or created). They didn’t know about waves, they thought visual phenomena were caused by light atoms smashing into objects and causing atoms on the surface of the objects to be exploded off in thin films that resembled the object which, on account of their thinness, could float great distances, at incredible speed, invisibly until they were grasped by the sensitive eye/mind (the mind was composed of the smoothest, and smallest atoms, so it was sensitive to these thin films of atoms). They believed that thoughts and imagination were caused by these ambient fragments of object-films floating into the head, kind of like all of the tv, radio and wifi waves swirling around us today, with the mind then attracting more of the same films from the same type of origin (train of thought). The ethics that went along with this was based on the fact that they did not believe in an after-life, or sensible spiritual realm (your constituent atoms would be dispersed when your body disintegrated and would go on to form into other structures), so they took empirical facts with deadly seriousness. Pain and suffering were bad, happiness and fulfillment were good. It’s a certain medieval christian bias that led to the interpretation of Epicureanism as the pursuit of sensual pleasure. The Epicureans understood that sensual pleasure was fleeting, and would quickly move over into its opposite if chased too vehemently. What is important is the Greek term Eudaimonia, which is often translated as happiness, but has little to do today with what we call happiness (the bubbly, pleasurable sensation that accompanies agreeable outcomes and events). Perhaps a better translation would be “Flourishing of life”. A key difference is that for the Greeks “the good life” didn’t end after you were dead, but also included your legacy moving down the generations, your influence and effect on the world. It would take many years after a person’s death to determine if they had in fact lived the good life. Accordingly, the Epicureans advocated moderation in things, and a balanced, “agreeable” life that pursued the “higher pleasures” of fraternity, self improvement, and freedom from the fear of death, which they thought would result in the freedom of all fear. They saw anxiety as the great thorn in mankind’s side, and their philosophical project was to rid themselves of it, identifying that anxiety had its root in the fear of death, but as fear of death only makes sense if one believes in the permanence of the soul, and/or living a life steeped in regret (as in the regret of missed opportunities), acknowledging atomic materialism (when I am here death is not, when death is here I am not) and living life to its fullest (Carpe diem, Sieze the day!) one could have no reason to fear death, so could live their one and only life in satisfaction, and upon their death bed have no fear for what will happen next, and no regret over what they should have done. Marcus Aurelius, Roman Emperor from 161 to 180. Practitioner of Stoicism. The stoics had a different spin on things. They believed that the universe was fundamentally rational. Where the Epicureans thought the universe of atoms was accidental (lots of blind collisions, lacking in Telos, or “purpose”) but also necessary, deterministic (the atoms moved on non-random paths that determine their collisions), the Stoics believed in a fate that underlay all of nature which was developed logically. Where the Epicureans believed there was only atoms and void, the Stoics believed there was only inert matter (bodies) and logos (reason) that organized matter’s motions and fate. Logos was the structuring principle, the how and the why of matter, and, like a deductive argument, had its own inner necessity. So, they too were determinists (a bit of an over-simplification), but for different reasons. They saw the study of logic/mathematics as essential, as it revealed the deep underlying structure of the universe as it was developing. If the Epicureans were chemists and biologists, the Stoics were theoretical physicists. Like the Epicureans they saw the study of philosophy as essential to alleviating suffering and living the good life, but had different ideas of what this consisted in. Because the universe is developing in a rational, linear way, the best course of action was to “follow nature”, making one’s action be in accord to the developing rationality that supervened in the universe of inert matter, because it was useless to be in opposition to it, (this was their definition of virtue, an act in accord with the universal developing logos). There was no higher good than (this) virtue; pain and pleasure exerted influence on us, and we were rationally inclined towards and repulsed by them, but the stroke of virtue in accord with the grand developing universal rationality overrode all considerations of “pleasantness” (allowing a certain “soldier’s reading” of stoicism, valuable to ancient Rome). The problem was divining what, in each particular situation, this entailed. This required careful consideration, and vast knowledge of the situation and its antecedents, hence the classic image of the “stoic”, unmoved by impulse, and rationally considering each action. However, because the future is unknowable, complete surety can never be achieved, so it is also important to guard against disappointment and regret, to affirm one’s fate in the final outcome. The tenets were something like: “Whatever happens is for the best”, and “Whatever happens will happen”. Man’s problem is that he resists the unavoidable outcomes of fate, does not recognize the inherent good in it, and possesses interests contrary to it. However, as we cannot know the future it is difficult to avoid hoping or wishing for certain outcomes. The antidote for man’s woes was to limit this wishful thinking, and engage in careful study and consideration to try to make sure that one’s actions agree with the march of fate, which is the only path to success (being the only thing which will actually happen). Accordingly, the “Sage” never meets with misfortune, because all of their actions and plans and expectations are in line with the developing rationality of the universe so all come to fruition through the affirmation of their fate as it is revealed to them. They do not cry or gnash their teeth because the final outcome was the only outcome, and regretful ‘would of, could of, should of‘s are irrational as they were never to be. 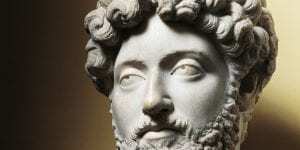 The stoics reached much the same conclusions as the Chinese Taoists, though with different positive content. And perhaps that we talk of a certain “British Stoicism” and that the birth of modern Economics occurred in Britain shouldn’t be seen as too big a coincidence.